Since 1999 Chandler Computer Repair Company has provided mobile computer repair in Chandler, AZ. We specialize in same day virus removal, hard drive data recovery, computer consulting for small business, and mobile computer repair in Chandler, AZ. Mobile computer repair means we come to you, in your home or business, to resolve all your computer repair or computer service problems all throughout Chandler, AZ. Why not use the #1 rated computer repair company in Chandler? "I first became acquainted with this company in 2005. Not being a sophisticated computer user, I have had many occasions over to enlist their expertise with complete confidence in their ability to assist me and resolve any problems I have encountered. Matt, Chris, Bryan and David are first-class and really know their stuff. I have never been disappointed!!" "David was very helpful and resolved our computer issue. Thanks for the great service!" "Chris is terrific - I am so happy with the results!" "Matt is a terrific guy, he helped me with all I needed." Who is Chandler Computer Repair Company? 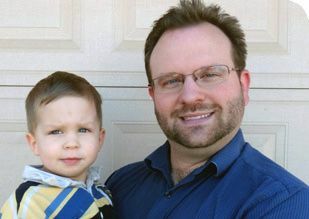 Chandler Computer Repair Company is owned by Matt Karls, an Electrical Engineer and a Computer Systems Engineer. We are a team of computer professionals focused on service and quality, all our work is guaranteed. If you need computer repair, computer service or have any technology problem in Chandler, AZ we can fix it. We have been performing computer repair in Chandler full time since 1999. Chandler Computer Repair Company has serviced Chandler and the entire Phoenix metro area for over a decade. 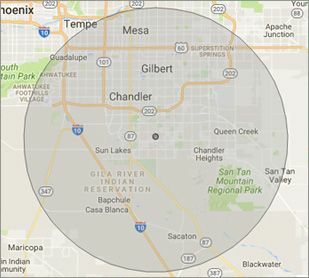 Our primary on-site computer repair service area includes Chandler and most of the East Valley of the Phoenix metropolitan area. We provide on-site computer repair to Chandler, Sun Lakes, Ahwatukee, Tempe, Gilbert, Queen Creek, Mesa, San Tan Valley, Chandler Heights, Sun Lakes and Johnson Ranch. Our mission is to fully resolve your computer problems quickly and affordably. If you want a Computer Engineer that can fix all of your computer repair and computer service problems instead of a computer tech, a computer geek, a technician or a computer guy that can only fix some of your computer problems; call us at (480) 240-2946. We are your computer repair specialists in Chandler, AZ. "I'm stationed in California, I live in Arizona and I came home one weekend with a virus on my computer. William remoted in within 10 minutes, on a Saturday and got it all cleaned up. Awesome bunch of guys, thanks." "The guys at Chandler Computer Repair Company have fixed several of our servers and other computers over the years." "I've used Matt more than a few times for mostly dumb fixes that I didn't know how to repair." "I had a bad virus on my computer and David was able to clean it off in no time at all."